Babycakes – a vegan bakery… YEHEY!! I’m a sucker for pastries, desserts and sweets. CONS: The location is in a weird off the way place in the downtown area and the price is expensive for a cupcake/doughnut but then again you are paying for the ingredients. I would definitely go back to this place and try their creations but it won’t be in a regular basis. 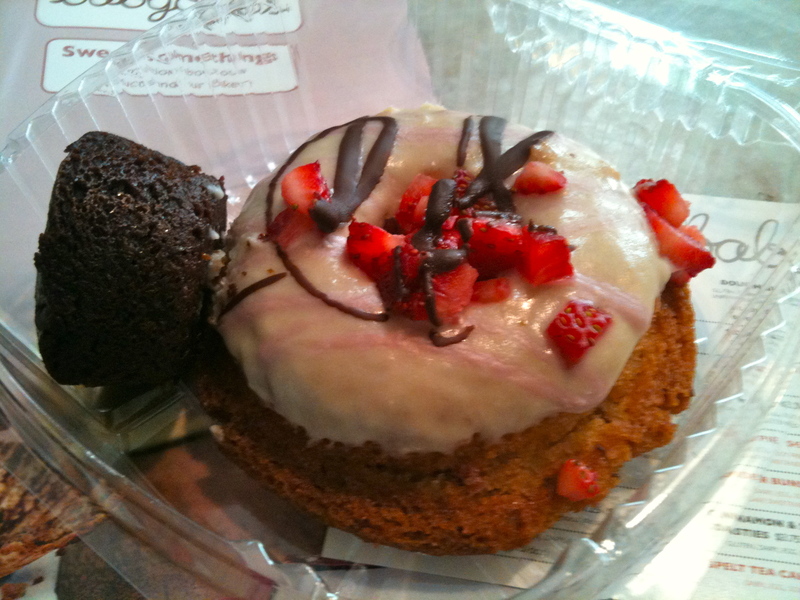 Chocolate Strawberry Doughnut – I miss the taste of doughnut, this tastes amazing. The glaze though is too sweet for myself but the tartness of the strawberries cut through it. Brownie Bites – AMAZINGLY DELICIOUS , they are little piece of heaven… expensive heaven lol.